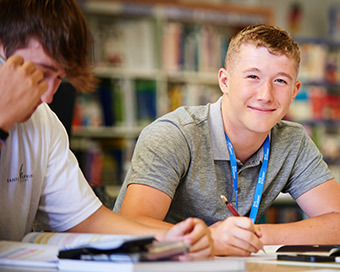 If you need help with your application to any full-time courses, including Apprenticeships and Higher Education please contact the Admissions team on 01743 260401 (A Levels) or 01743 342346 (Apprenticeships and vocational courses). If you need help with your application to any part-time courses, including Higher Education please contact the Course Sales Advice team on 01743 342333. Before you start entering your details, please read this guide to make sure you have everything you need to complete your application online. *Not all courses require an application to be completed. All relevant courses will have an Apply Now button on the course details page. Please keep an eye on your junk folder in case our emails inviting you to interview go astray! Have you previously had access arrangements for examinations? Some of the information you supply will be used by the Skills Funding Agency to fulfil its statutory functions, issue/verify your Unique Learner Number (ULN) and update/check your Personal Learning Record. The Skills Funding Agency may share your ULN and Personal Learning Record with other education related organisations, such as your careers service, school, college, university, Government Departments and public bodies responsible for funding your education. Further details of how your information is processed and shared can be found on gov.uk. Please let us know the qualifications you already have and any you plan to take. Grade Grade 1 2 3 4 5 6 7 8 9 A A* AA B BB C CC CR D DD DS E EE F G ME PA U Is this a predicted grade? Please provide information about your interests, work experience, career ambitions, achievements and why you want to study the course(s). We are asking for this information to ensure we can support you during your application and whilst at College. Please note that in order to be an apprentice you must have an employer. Please fill in the details below. 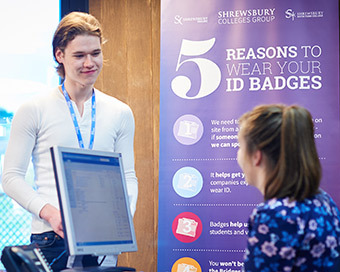 Shrewsbury Colleges Group uses the personal information you give us to process your application; the College also summarises information for monitoring purposes. We work with Shropshire Council to support their statutory obligation to monitor progress to further education of 16 and 17 year olds. If you are in this age group we will share your application details with them for this purpose. If you are under the age of 18, the College will normally share information about all aspects of your application with the parent(s) or guardian(s) you disclose to us. We will contact them initially to confirm that we have been given their information by you. They have the right to refuse contact if they wish. The College complies with the requirements of the General Data Protection Regulations (GDPR); you are considered a Data Subject within the regulations. As a Data Subject you have rights to control how your data is processed. For more information please see the College’s GDPR Policy. I consent to Shrewsbury Colleges Group processing my personal data, including data about my ethnicity, any criminal convictions and my physical or mental health, set out on this form, or other data, which Shrewsbury Colleges Group may obtain from me or from other people or organisations. I consent to the processing of such data for any purposes connected with my course application or my health and safety. A Levels - choose 3 or 4 subjects that you are considering which will be discussed with you at interview. 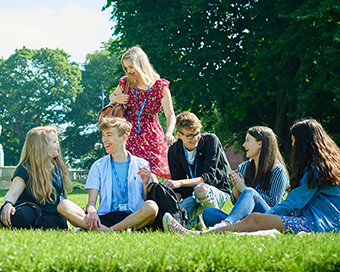 This choice can be changed up to the point of enrolment in August, however first choice places are given at enrolment and other subject changes are subject to availability. Where there is an option for either an A Level or BTEC Diploma in the same subject, select either the A level or the BTEC and your options will be discussed at your interview. Apply for Level 1, Level 2 or Level 3, depending on your GCSE grades. However, for some trades everyone starts at Level 1 or Level 2 regardless of qualifications as you need to build up your skills before progressing.